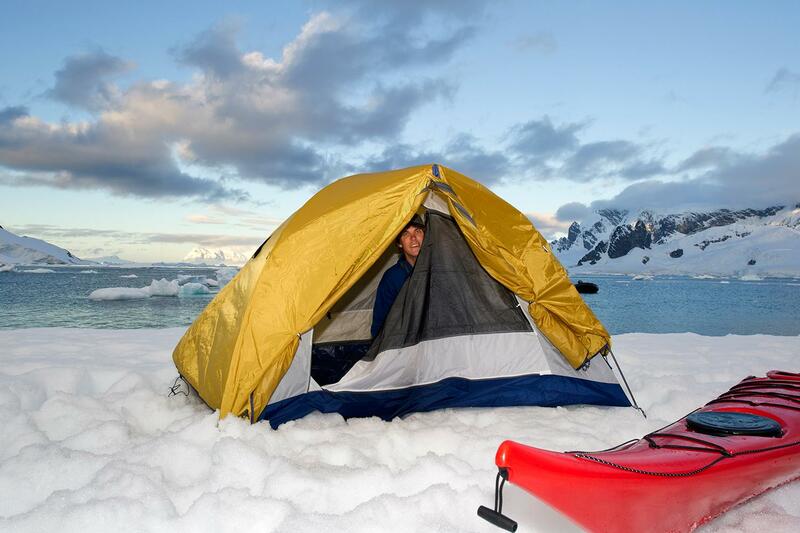 An outstanding adventure with options for kayaking and camping overnight in Antarctica! The vessel's speed and strength offers great opportunities to get closer in to icy waterways. 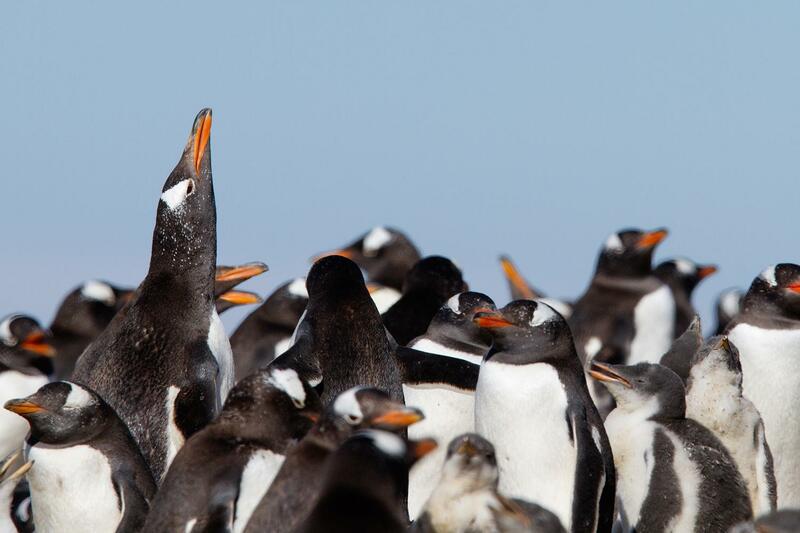 Sailing in comfort on board Akademik Sergey Vavilov, we chart a course through the Drake Passage and make visits along the way through the South Shetland Islands. 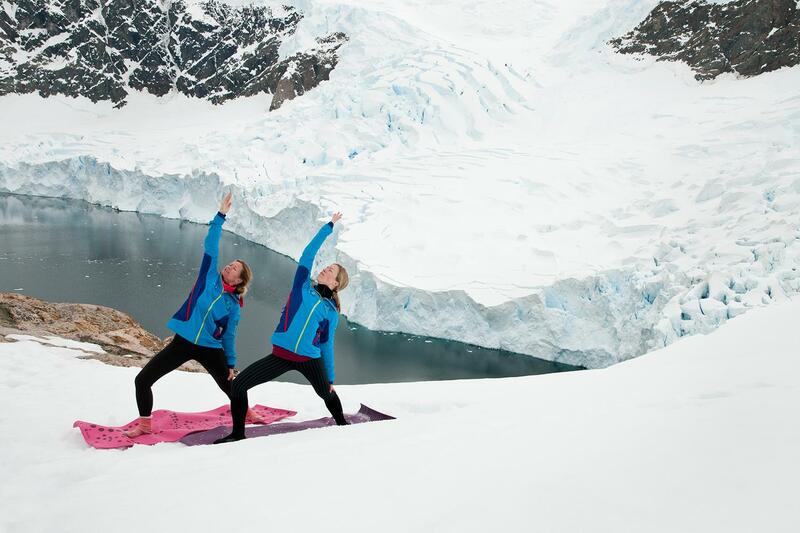 When we arrive at the Antarctic Peninsula, be prepared to be dazzled. Even experienced crew members who have visited a hundred times or more are still astonished by its pristine beauty. 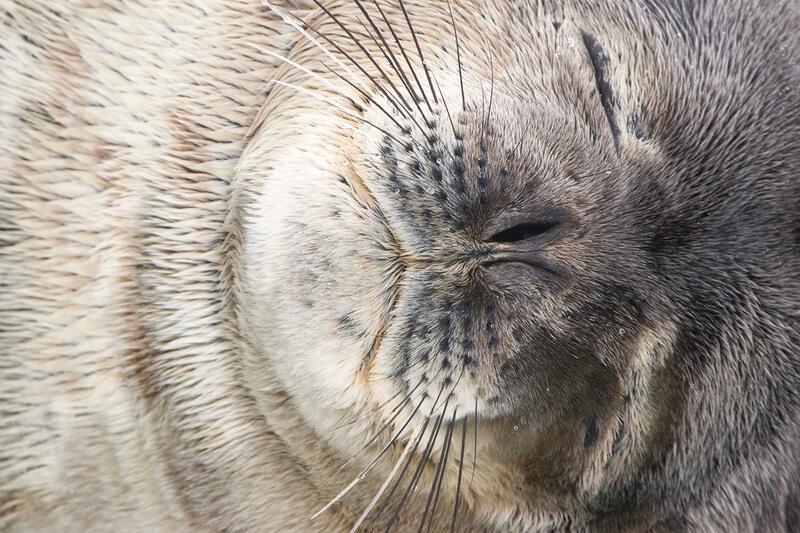 Abundant wildlife includes five seal species, massive penguin colonies of gentoos, Adelies and chinstraps and a profusion of seabirds from albatross to skuas. It is nature you will experience up close and personal on frequent excursions inland. 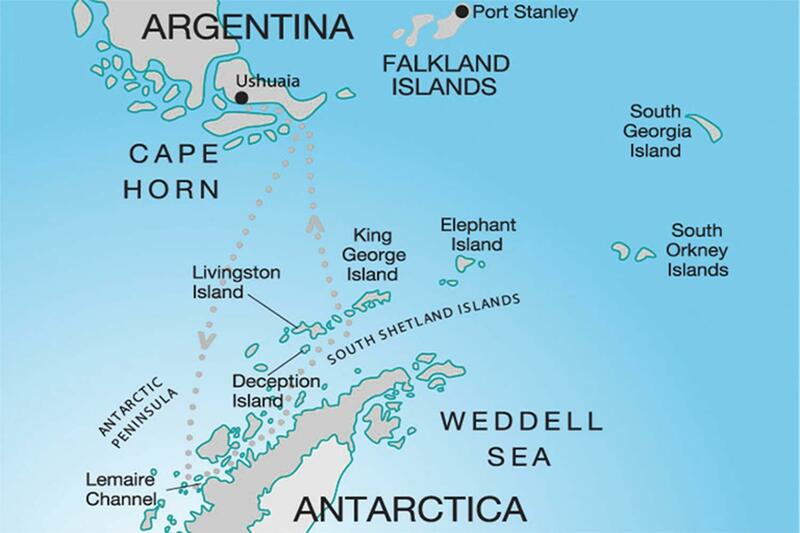 Our journey will take us to Petermann Island or Wilhelmina Bay where we encounter colossal icebergs and, of course, icy landscapes that stretch as far as the eye can see. Hardy adventurers have the chance to camp out on the ice overnight and feel the thrill and audacity of early explorers who attempted to conquer this continent. Day 1 / Ushuaia Today is the first day of our adventure. As we board the vessel in Ushuaia, the world's southernmost city at the tip of Argentina, and start to become familiar with 'our home' for the next 11 days we cannot help but wonder about the exciting journey ahead of us. In the early evening, we set sail and begin our voyage leaving behind Ushuaia and charting a course through the Beagle Channel. Days 2 - 3 / Drake Passage Crossing the Drake Passage, there is so much excitement in the air as we make our way ever closer to the white continent. Guests eagerly soak up the friendly atmosphere onboard as our numerous Polar experts prepare us for our adventures with presentations on everything Antarctic, from wildlife to history. 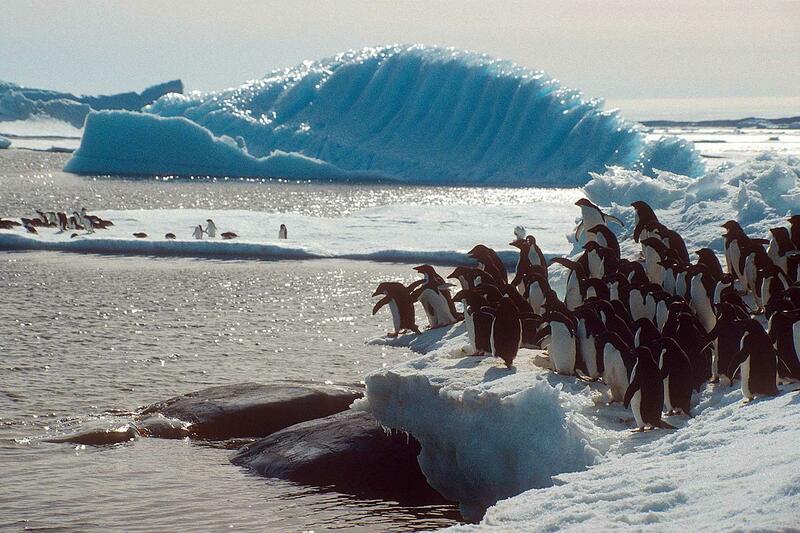 Eventually, we will cross the Antarctic Convergence where we will notice a distinct drop in temperature as we enter the waters of the Antarctic Ocean. Along the way, we will witness many spectacular sights from icebergs to an array of seabirds and even several whale species, some of which are known on occasion to fully breach from the sea. 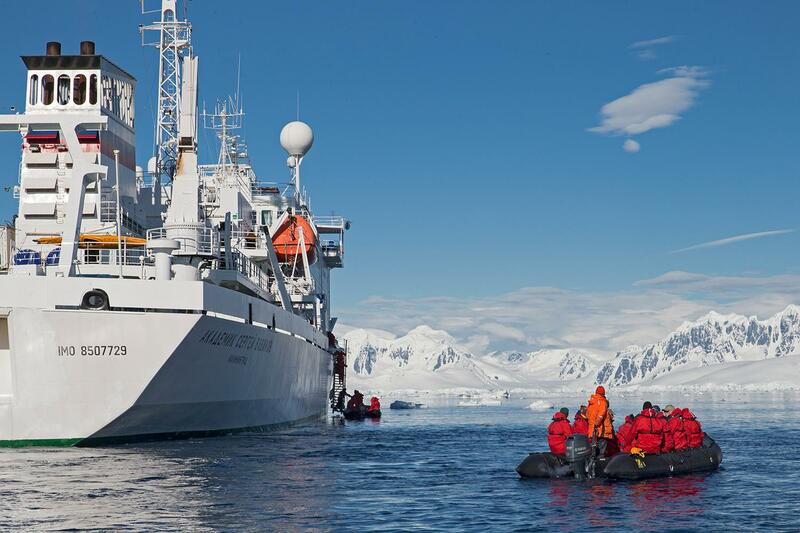 Days 4 - 8 / Antarctic Peninsula In the waterways of the Antarctic Peninsula, we will hope to make as much time as possible to explore by inflatable Zodiac boats and marvel up close at nature's glory. 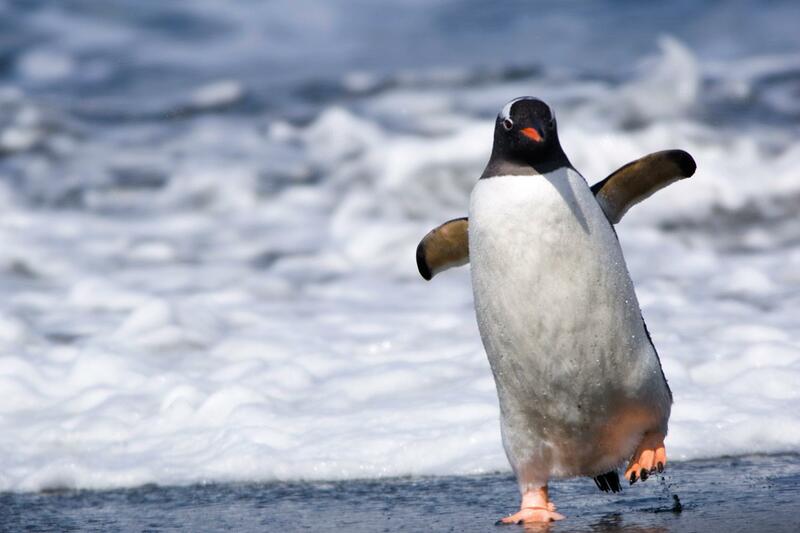 Planned excursions might include Neko Harbour, Wilhelmina Bay and even the southerly Petermann Island, where we will observe Weddell, crabeater and elephant seals, skuas and other seabirds as well as a shocking abundance of penguins including some very large colonies of the comical Adelie penguin. At Half Moon Island we will observe a breeding colony of chinstrap penguins that share their territory with fur seals and blue-eyed shags. We also hope to see the gentle humpback whale dining on krill in its feeding grounds and possibly have an opportunity to observe orcas and Minke whales as we go. We finally arrive on the continent of Antarctica at Paradise Harbour or Neko Harbour. Prepare to be dazzled by your first glimpse of the continent. The scenery here is amazing. In particular we will be struck by the oddly-shaped icebergs that look like sculptures, as well as the colossal 'tabular' icebergs that break away from the continent's ice shelf. 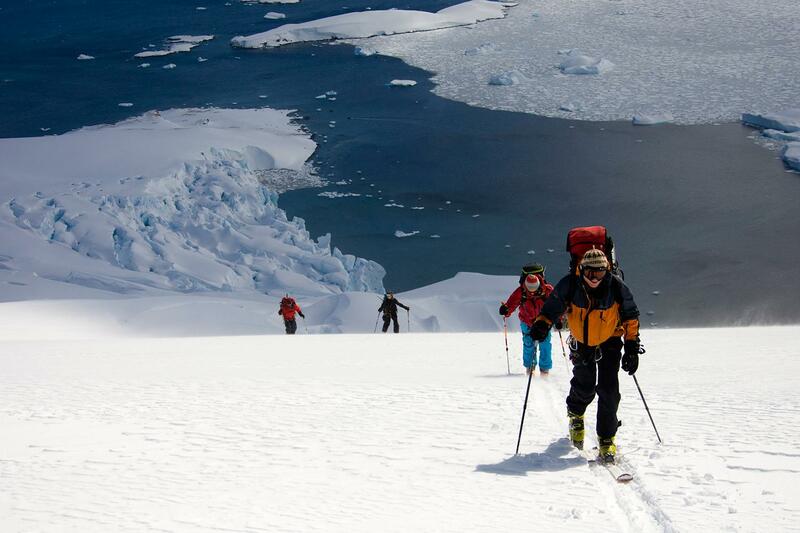 We hope the weather will be mild enough to allow us all to step foot on the White Continent itself. Some may wish to camp on shore overnight. Whatever your vantage point, whether it is onboard or onshore expect to feel transformed as you experience twilight from the very bottom of the planet. Days 9 - 10 / Drake Passage As we leave this magical place and make our way north, heading again across the Antarctic Convergence and the Drake Passage before rounding Cape Horn, we have no doubt that time will be spent sharing and reflecting on the wonderful experiences of the last few days. 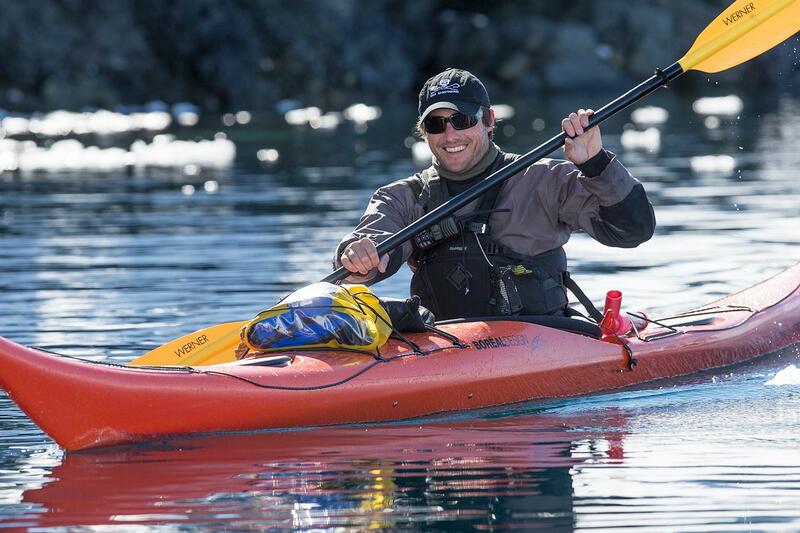 Sailing down the Beagle Channel, we celebrate the conclusion of our Polar expedition at a special dinner. Day 11 - Ushuaia In the early morning, we will arrive back in Ushuaia. It is time to say farewell to your crew and fellow travellers. Guests will be transported to their hotels or to the airport for return flights home. PLEASE NOTE: As with all of such expeditions, safety is the top priority. For that reason weather, ice or other conditions may require changes to the itinerary and shore excursions as we go but that is half the fun of Polar exploring. Predictability is a word that has no relevance in this environment.